When a disease turns all of humanity into the living dead, the last man on earth becomes a reluctant vampire hunter. A millionaire offers $10,000 to five people who agree to be locked in a large, spooky, rented house overnight with him and his wife. An associate burns down a wax museum with the owner inside, but he survives only to become vengeful and murderous. In the sixteenth century, Francis Barnard travels to Spain to clarify the strange circumstances of his sister's death after she had married the son of a cruel Spanish Inquisitor. Upon entering his fiancée's family mansion, a man discovers a savage family curse and fears that his future brother-in-law has entombed his bride-to-be prematurely. A European prince terrorizes the local peasantry while using his castle as a refuge against the "Red Death" plague that stalks the land. A doctor, scientist, organist, and biblical scholar, Anton Phibes, seeks revenge on the nine doctors he considers responsible for his wife's death. A scientist has a horrific accident when he tries to use his newly invented teleportation device. A man's obsession with his dead wife drives a wedge between him and his new bride. A magician, who has been turned into a raven, turns to a former sorcerer for help. Dishonest undertaker Waldo Trumbull and his sidekick Felix Gillie are creating their own customers when they cannot find willing ones. Robert Morgan: Another day to live through. Better get started. Q: Why is Morgan immune to the disease? Q: Is this available on DVD? Seems like a great film ...but for all the wrong reasons? I like this film, and definitely associate it with my childhood, via the inside cover of an old issue of Famous Monsters that pictured a vampire arm groping around the door for Vincent Price. I gazed at that photo as the magazine wore out, for years before I actually got to see the film. 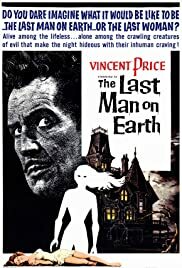 Vincent Price is always good to see. But as he is not a terribly physical actor, he looks awkward doing some of the things he is called on to do here, like dragging a body to the edge of a pit and heaving it in, pounding a stake into a vampire heart, or hurling a mirror across the room in disgust and despair. Not standing about with cocktail in hand, dressed to the nines and oozing wicked sophistication, he looks about as out of place as Cary Grant would setting a trash can out at the curb. I ask, in the title of this review, if we like this film "for all the wrong reasons" because, inescapably, I find it pitched at a sort of self-pity, tapping into the allure of images of yourself alone at the center of the human universe, of satisfied contemplation of the stupid folly of Man the Scientist, the Politician, the Warrior, that will bring the end of his own species. --In a word, it seems to inhabit a place that is the near-exclusive province of the truly isolated, disaffected and fantasy-prone adolescent. Being aware of this demographic skew doesn't invalidate the real and strong emotional place the film creates and enables anybody else to inhabit. But I do wonder about the effusive, near-idolatrous over-analysis this film has been known to elicit. I think it would be a pity if, through the growing cult of this film, we come to be less moved by horror --the whole precept on which Matheson's novel and the film are based-- than seduced by the film's image of post-apocalyptic solitude, which can lapse into full-blown gloating misanthropy with just a slight nudge. I find Last Man oppressively tragic and sobering and depressing-- and always, always utterly absorbing. Even tenth time watched, it feels like you are watching your own funeral, listening to nothing less than taps being sounded for your own species. This is, not to be too glib, the films greatest strength AND weakness. 52 of 88 people found this review helpful. Was this review helpful to you?